Over the past decade, Cyprus has awarded Hydrocarbon Exploratory Licences in the Cypriot Exclusive Economic Zone (“EEZ”) and entered into production sharing contracts (“PSC”) with a number of global oil & gas companies. Over this period, a strong momentum has been developed and there was a substantial exploration and evaluation activity undertaken by the operators in offshore Cyprus. 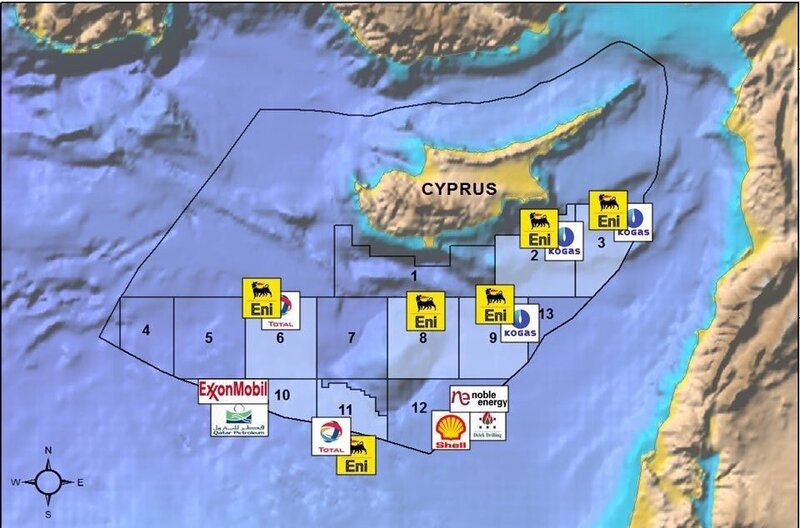 The preliminary results of these activities to date are very encouraging, having two of the main operator companies announcing significant hydrocarbon discoveries in Cyprus EEZ. It all begun back in 2011 when US Company Noble Energy announced a top-notch discovery of natural gas in Cyprus’ offshore EEZ block 12 – known as Aphrodite. And later the results confirmed natural gas reserves of 4.54 trillion cubic feet (tcf). This reserve is enough to meet Cyprus’ domestic gas demand for over 100 years. After this discovery the energy sector in Cyprus attracted worldwide attention and serious investment from international Energy Giant companies such as ENI, TOTAL, SHELL and ExxonMobil secured exploration rights in Cypriot waters. In preparation for the upcoming increase in offshore drilling, a new support base has been set up in Limassol and Larnaca. Cyprus offers stable and secure base and a suitable location to set up operations for various supporting services to the energy industry. Cyprus excellent infrastructure, business environment, advantageous tax and legal framework, forms an efficient workplace for International Companies.